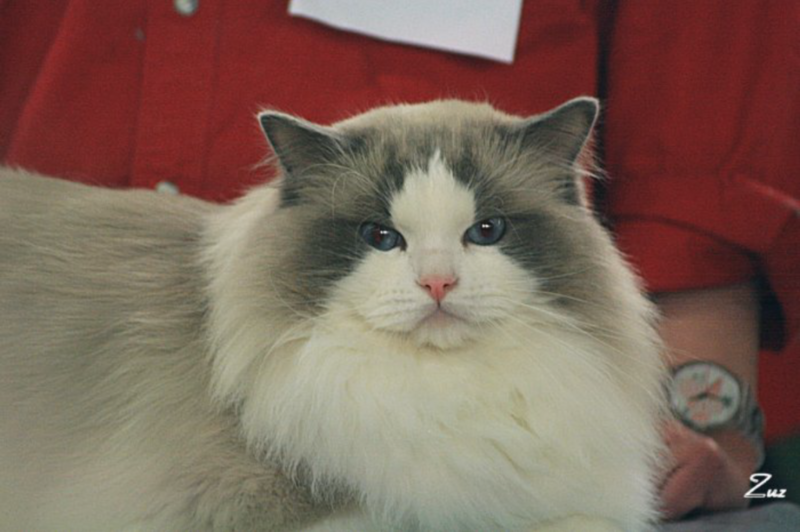 Ragdoll is a very popular cat, the breed has been the biggest with most registrated cats in SVERAK since 2008. 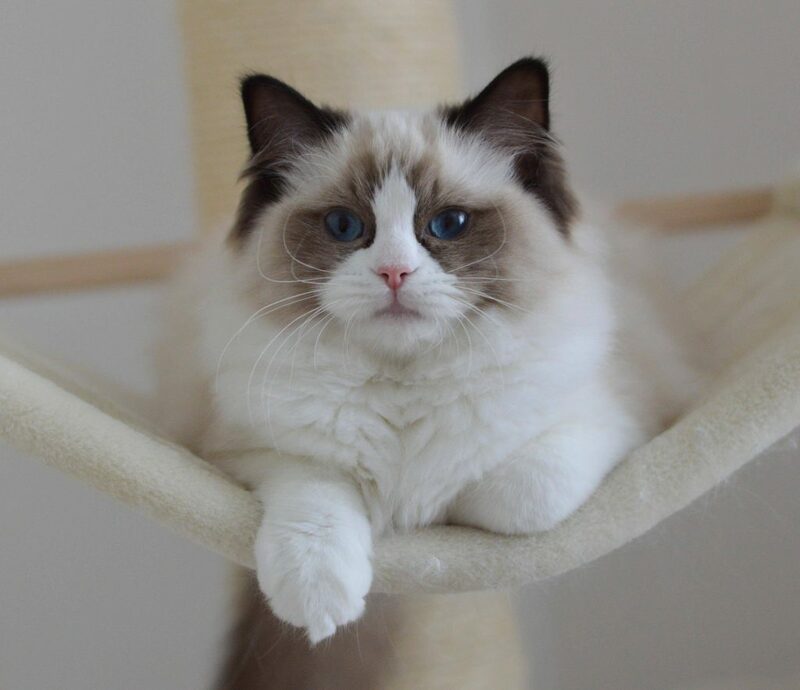 Most cats sells as pets but many for show and breeding. Why I ’am writing this article it’s because thru last years there has been successively changes of the breed, not of advantage, so I ‘am really concerned and worried over this development. Right now, they are quite uneven in appearance and what worries me the most is the small, so-called ” extremely typed” ragdolls, that do not look like ragdolls in their looks. What is extra worrying is that they seem to be having health problems. 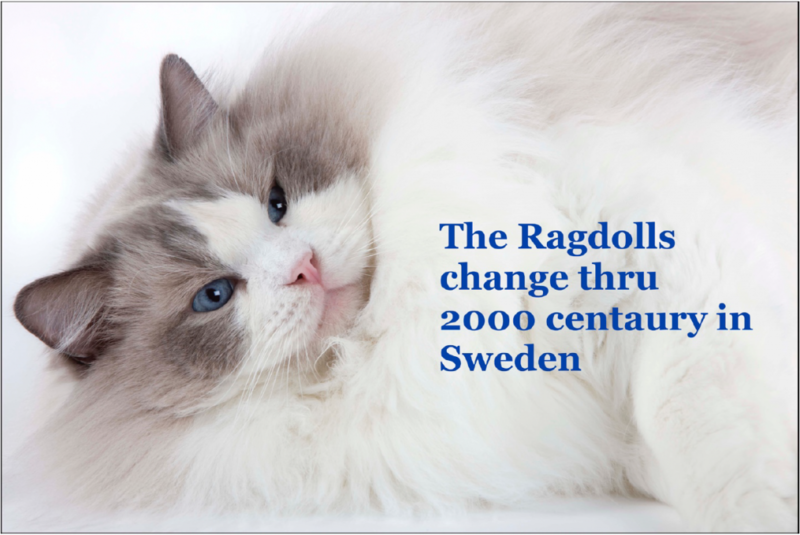 The ragdoll has been reduced in size – it should be an long cat NOT cobby. 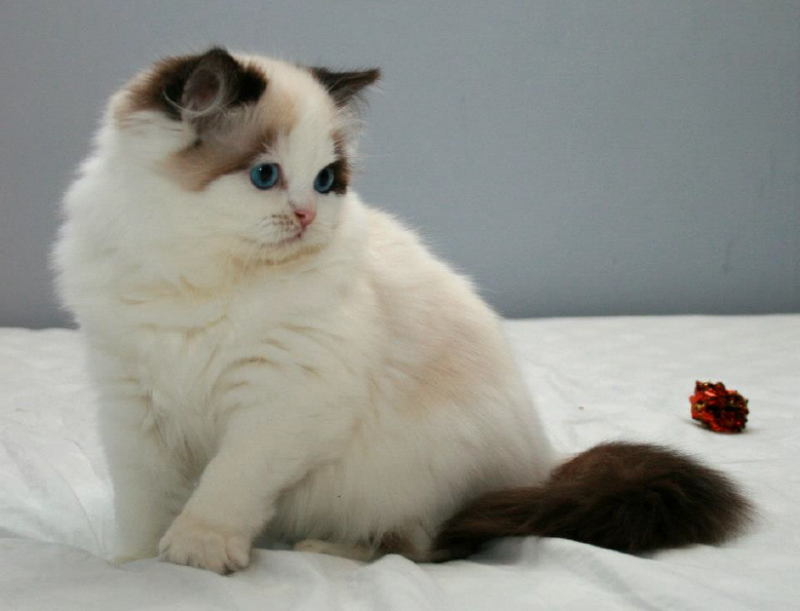 A Persian should be short and cobby but some ragdoll has today more cobby bodies than the races that should have it. 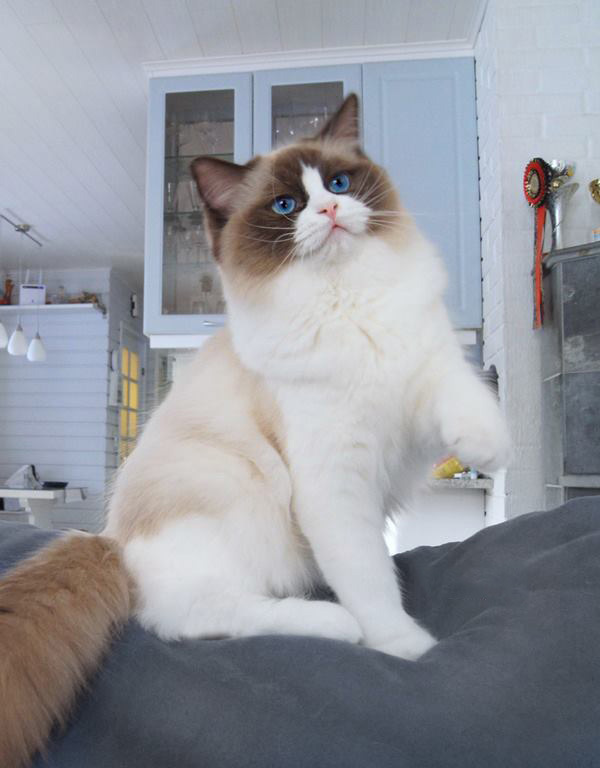 The ragdoll breed’s trademark is a ragdoll with lengths and hang in the hands completely relaxed as a ragdoll. Of course, there are exceptions, but today’s bodies is short, cobby and stiff many times, it feels like the cats are bothered when you lift and handle the cats. Some of them stands like bulldogs with the front legs and elbows in a wrong angle. What has happened and will happen with the bodies? Why do they stand with the elbows out? How much smaller will they get? The ears should be of medium size and some has been reduced to almost “small”. 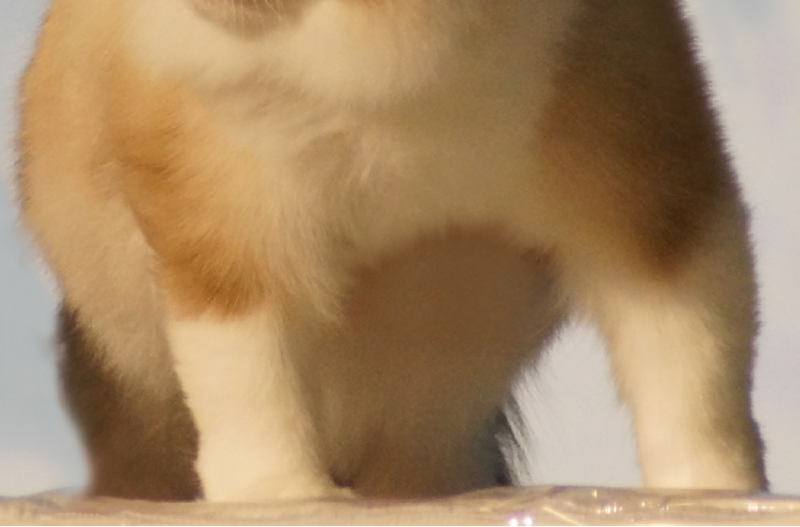 For me, the ears have been of great importance for a real ragdoll look. 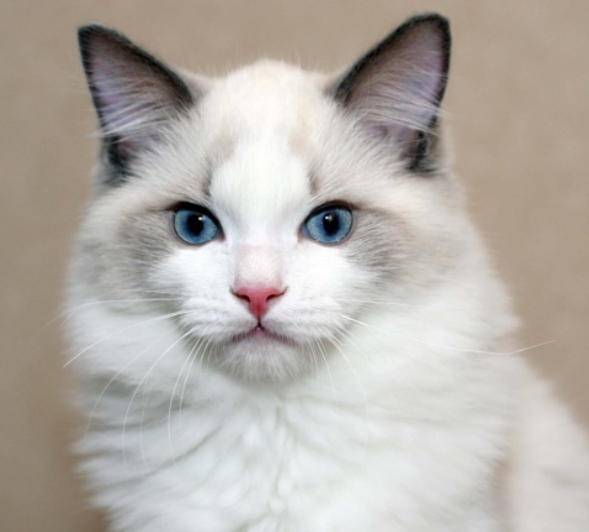 The Birman has ”rather small ” but many ragdoll today have smaller ears than the birmans – it should be a significant difference between the breeds. A correct placement of the ears is outer edge of the eye aperture to be level with the base of the ears. Many have small ears low set with rounded s.k. ”domed” top which enhances the ear’s low placement. It should be flat between the ears – they should have a slightly rounded forehead but not ”domaed” which is written in the standard. 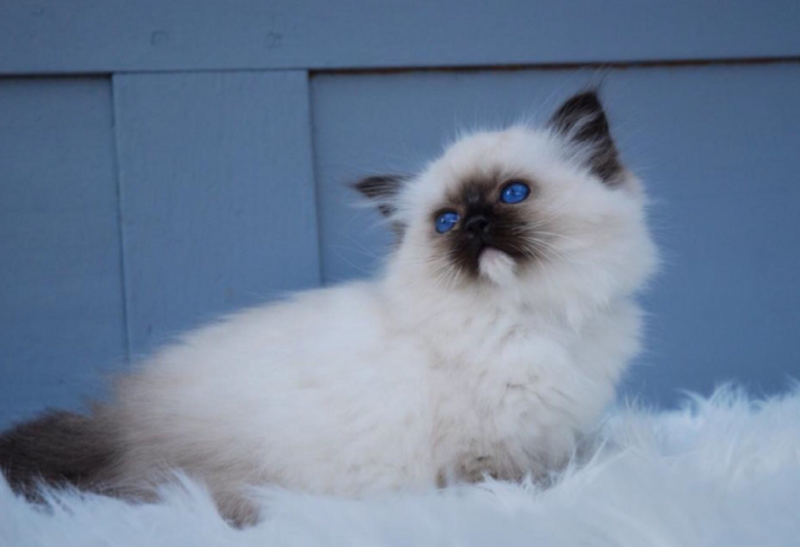 You almost never see the young ragdoll with big ears to grow in, and a little outgrown, now they are often as a miniature of an adult cat in a kitten body – how should they then be able to grow and develop right? 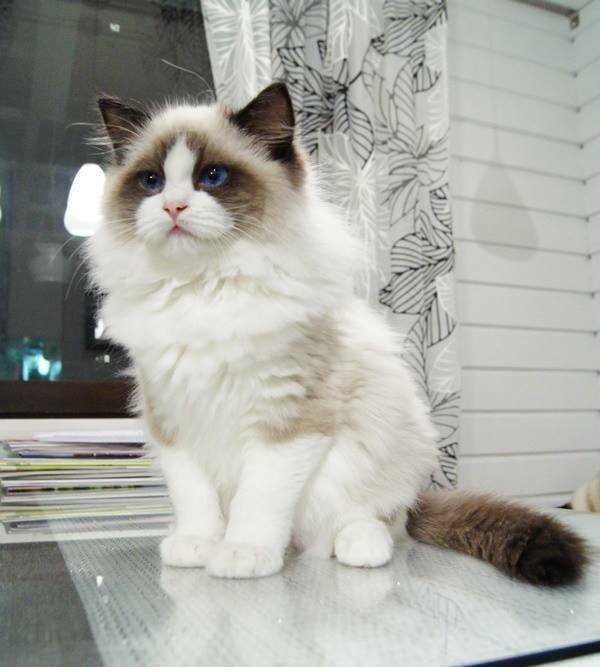 We have and have had very good ragdollcats in Sweden, but unfortunately the trend of the top winning cats tended to a smaller ragdoll, smaller ears, rounded tops and the wrong look, something that we judge together with the breeders must take responsibility for. The biggest responsibility I think, however, the breeders must have. I sometimes hear that some breeders want them to be short o round, with small ears and a ”fluffy” coat – none of this is in today’s standard. 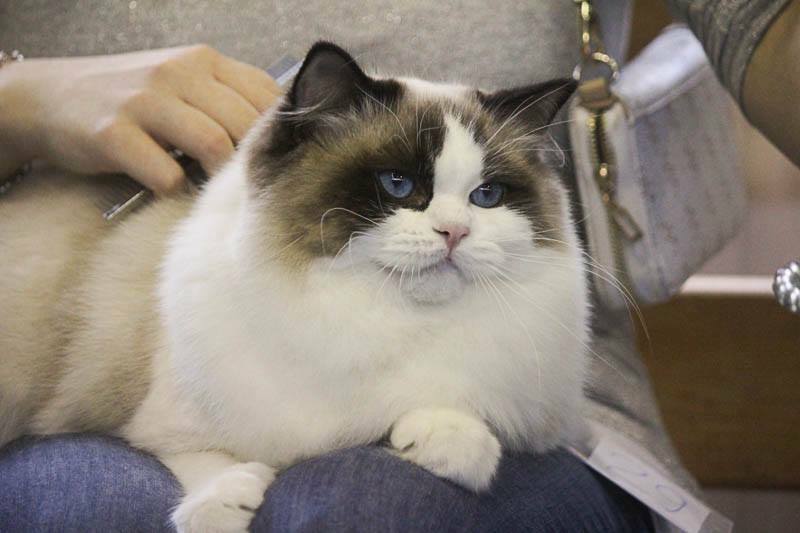 I get sad when I see these cats at the show and many times in the panel and also win BIS. What signals does it send to new breeders and exhibitors? It is often the cats that are doing well on the show who is advertising for the breed. A cat that does not actually follow the standard. 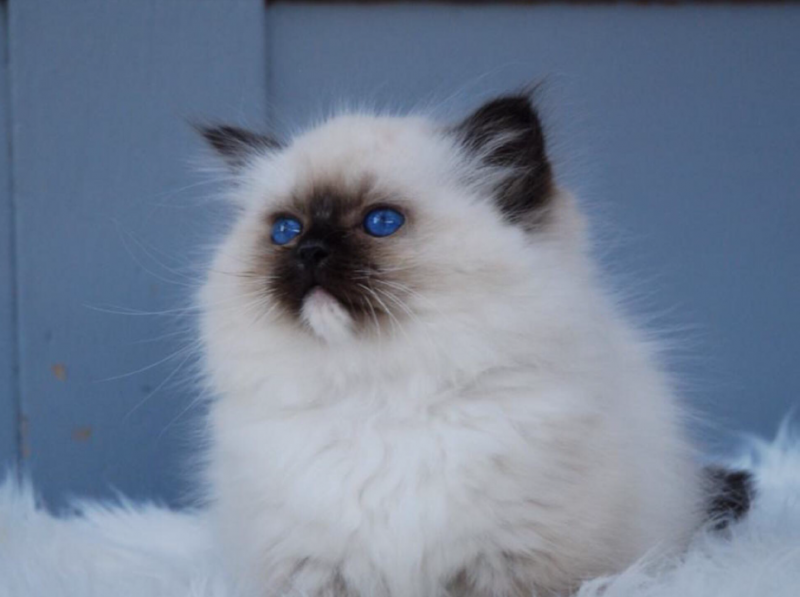 We, the judges, and you breeder must now make a mutual effort to get back size and the correct Ragdolllook for our beautiful Ragdolls. 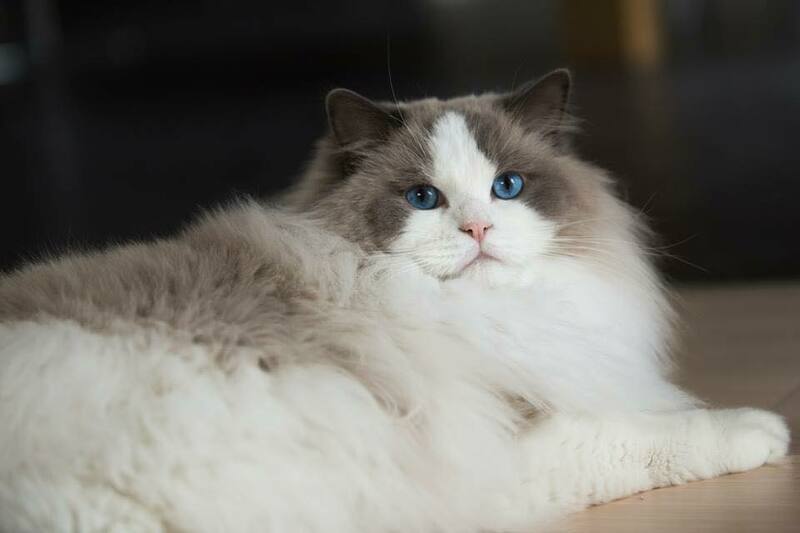 Stop to give priority to these small, fluffy ragdolls with short bodies with the wrong look and type. This is not to say that we want to have back the slim bodies and heads that were in the beginning when the breed came to Sweden. It should not be too much or too little in any direction. We struggled a lot with the type, there were many different types. We had different lines the old English lines, and American lines. The English had more length in the bodies, larger ears, bluer eyes, and the American lines had more width in the body and head but with less eye color. In short, both types had their advantages so to combine the two lines was often succsesful. We had a large involvement in the SRC, in the form of seminars and breeder gatherings. These were always well visited by both breeders, owners, judges and judgestudents. I and Christine went around the country to share with us our knowledge and experience. 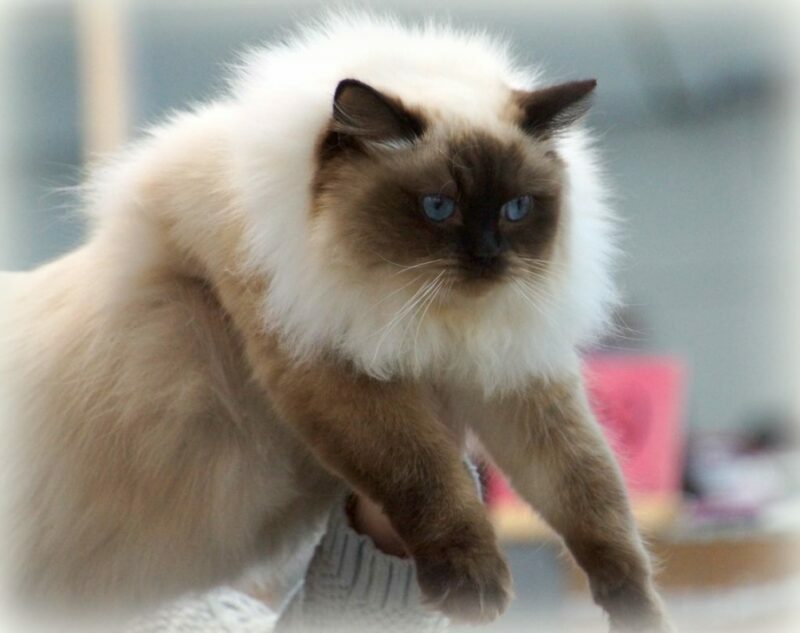 The club had club championships and also International ragdoll-shows in cooperation with a federation club Östkatten and there where at least 150 ragdoll attended. I think the openness of the club has brought the breeders together and was a great sucess for the breed to grew, and mainly to get the health problems under control. 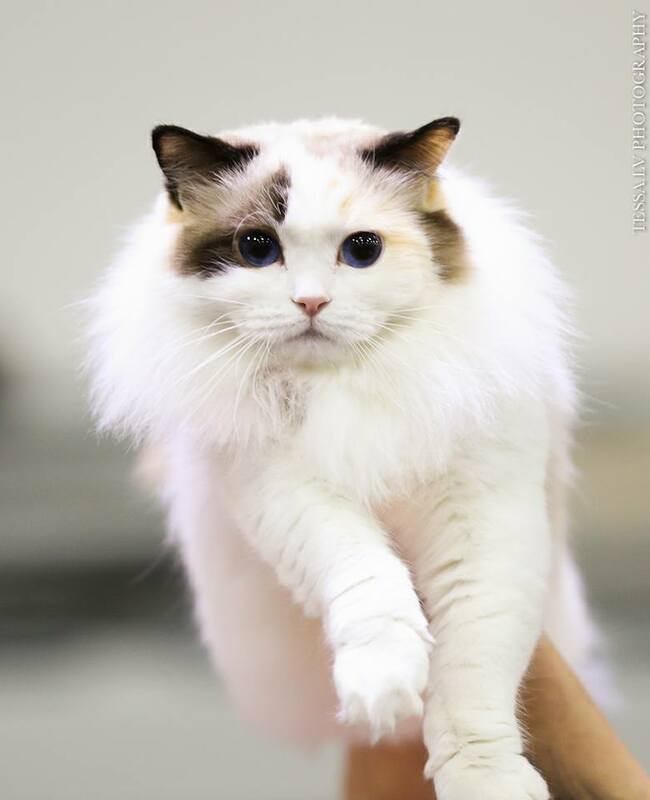 The standard had been the same since the breed was approved and because the ragdoll should be large cat with lengths, it was misleading that we only had medium bones in the standard. We worked out a standard change that carried out in 2007. 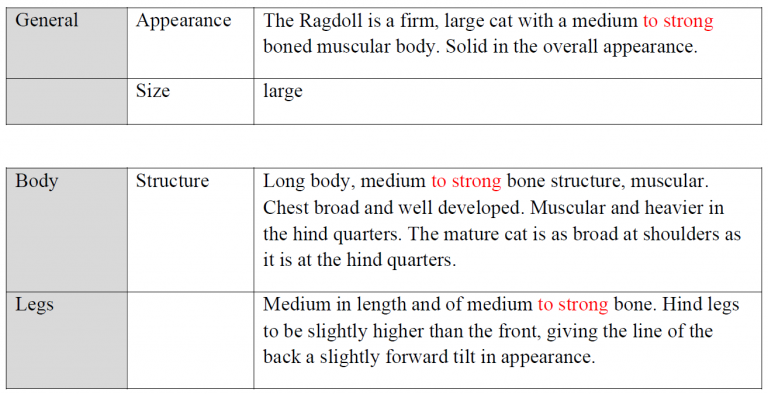 The changes made were mainly to the mitted pattern, but also that the bones should be medium to strong – this was to clarify that the ragdoll is a large cat. We got more width in the cheeks which resulted that some thought that they get too short and round in the head. Some thought the ragdoll was ”extremely typed”. In my eyes we got the width that is written in the standard ”well developed broad cheeks”. 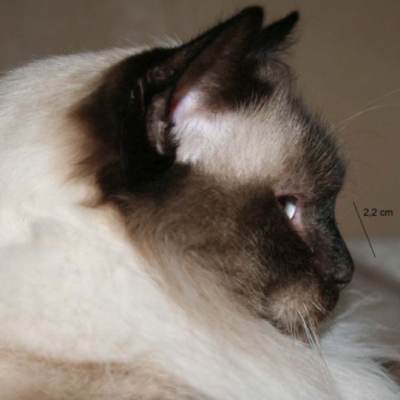 In order to clarify that they were not shorter in the nose, which is mostly an optical illusion when you get more width, I made measurements on my cats Shinto born in 1997, ”from the old lines” and Magic born in 2002, with mostly american lines in his pedigree. Because Shinto looked more narrow out in the shape of his head and Magic shorter, it was interesting to see that the length were 2 millimeters difference, but the width of the cheeks were 4 centimeters differences. It has been many discussions about the forehead and profile and different interpretations of the standard. Some interpreted that the forehead should be flat from above the eyes because the standard text”flat plane between the ears”. 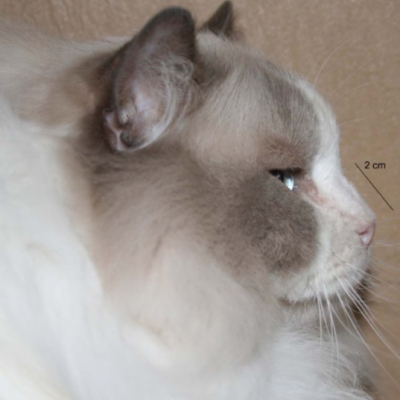 We wanted to clarify with a standard change pointing out that we need to have the height in the head to get a good profile line, and that the ragdoll has a forehead as other breeds. The change was carried out in 2011. There were those who disagreed and thought that they was similar to the persians and called them Perdolls. 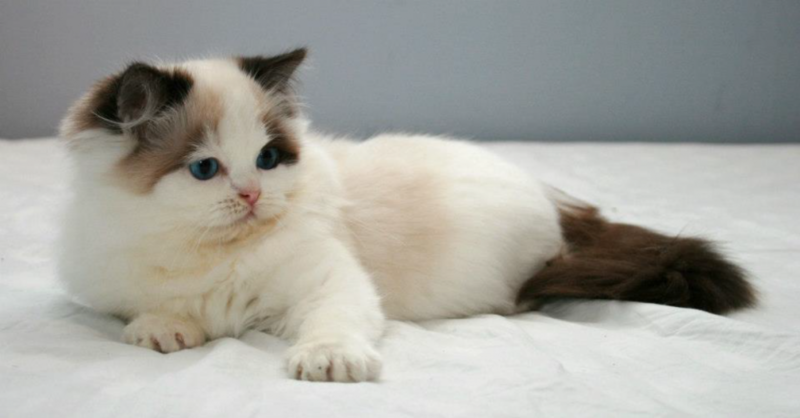 I can’t see the similarity a Persian has a stop and the a ragdoll a curve. As regards for the cheeks, it has always been “cheeks well developed” and there are no changes made. We took away the faultlist it does not fill any real function – is it medium ears, well, then “small and large” are wrong. Another fault was if the cat had a roman nose, we changed the text that the nose should be straight (straight nose) in the standard. Then of course becomes a convex/roman nose undesirable, even if it is not a fault. In the spring of 2016, it emerged that we will proberly have a defective gene on the ragdoll. The kittens showed signs of dwarfism and died young. A healthgroup in SRC who has done a fantastic job of trying to identify the cats and come up with an individual cat who is the likely common denominator and s.k. carrier. The cat is called PG. We have collected money to start a research made by SLU in Sweden in order to find the gene and hopefully a DNA test. We do not know at present the heritability more than if we doubled the ”PG-the line” in a pedigree, you can get dwarves who usually die small. All will, however, not become dwarves, but they can get a variety of defects and some don’t live so long. There are several examples of these. Not everyone in the litter will be affected. 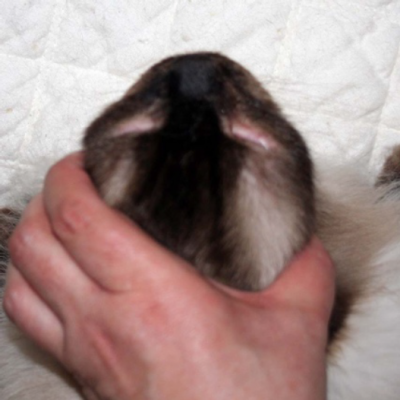 There is a tendency in some of the cats from these ”PG-lines”, whatever they are duplicate or just are in one line in the pedigree, a peculiar appearance and this is what I wrote about above, but the appearance varies a lot on them. 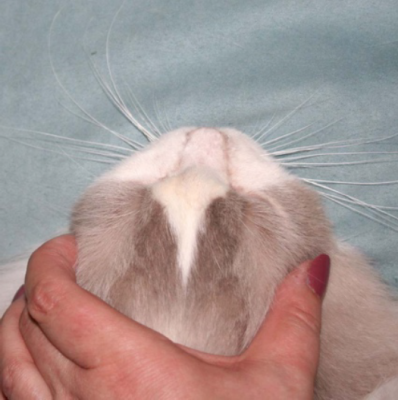 Some are flat at the top, with larger usually low placed ears. Some have small ears that are low placed, with rounded (domed) top between the ears. For me, they have not a strong or extreme type. 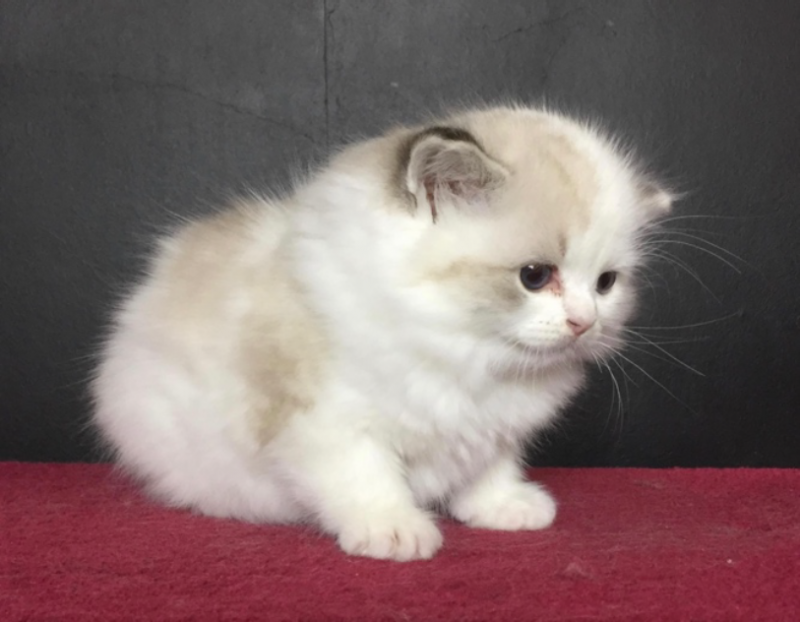 Most of them are not correctly shaped in the head and body shape, and if you think these cats are a ”shortcut” to good typed cats I hope that most breeders are thinking about. I don’t think this is the right way to go. As long as we do not know what this really is the breeders should be a little restrictive with using the cats with the ”PG-the line” in breeding despite the fact that many people find they provide a strong and extreme type? 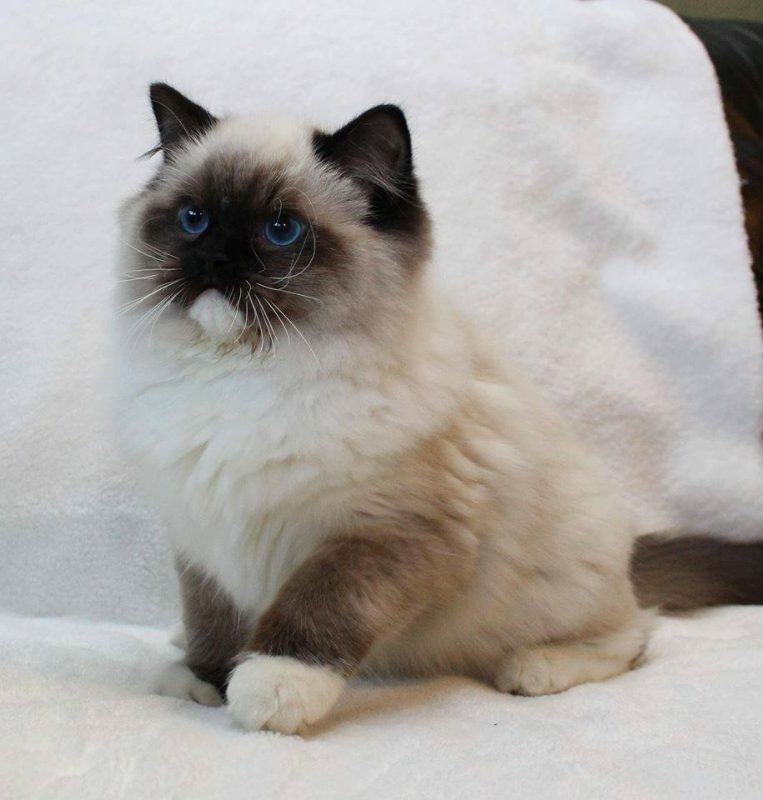 You probably can’t “remove” everybody who has the PG in his pedigree of the breeding programs but in any case not to duplicate the cat – it has proved that the risk becomes too big to get a defect cat. And to minimise the risk further, we should not breed on the small, short, and peculiar looks until we know what is wrong?. We really hope that SLU will find the offending gene and that there will be a test eventually. Then we will know and be able to come to terms. 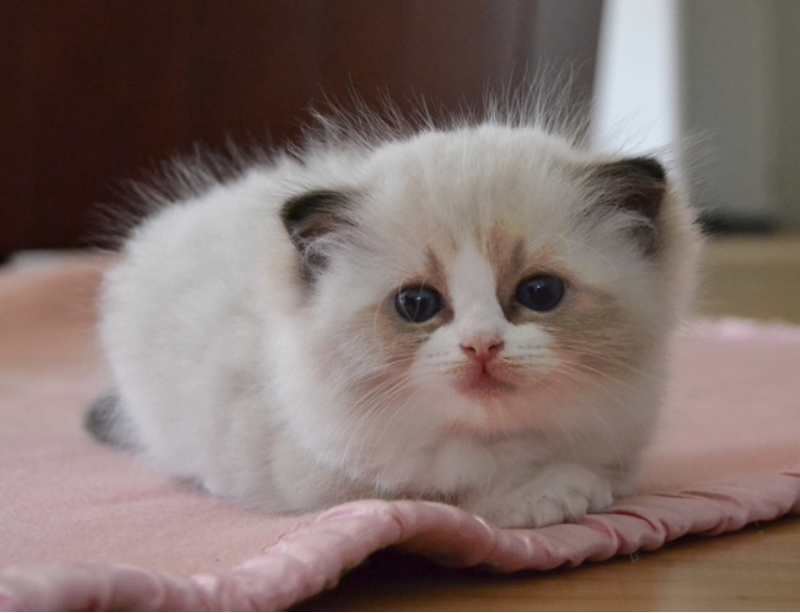 What makes me upset is that there are breeders who prioritise, breed and exhibit these small so-called ragdolls. They call them well typed cats and they often become small ”kittenstars” but usually you see them in the exhibition as adults when they seems to grow out and look weird like adults. This is not health for a race well-being and I want to give a great tribute to the breeders who take their responsibilities and is a great example of the new. I know that this is difficult and many take it as a criticism of their cat that you love with all heart. 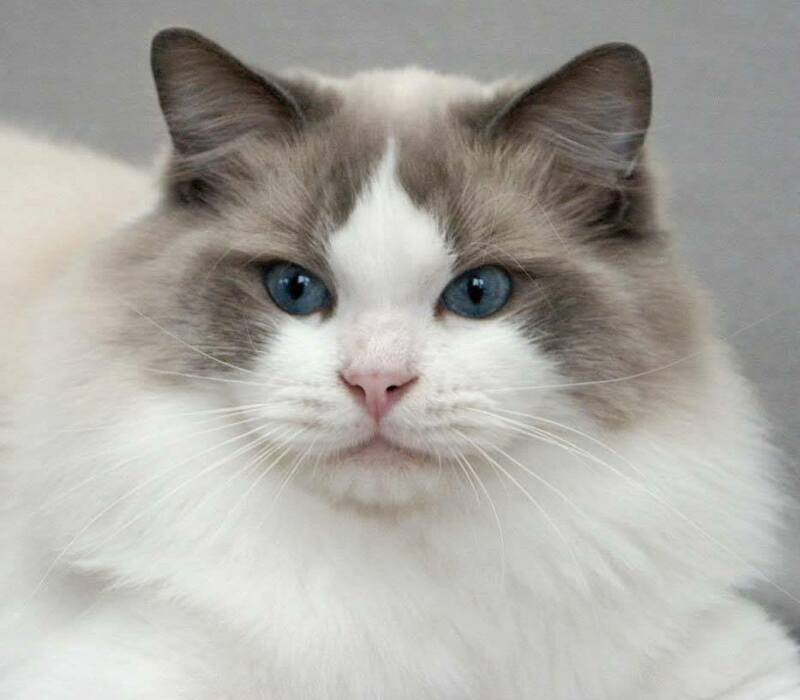 But for the breed’s best, we must strive for a ragdoll in good health that every owner can share a long wonderful life with. 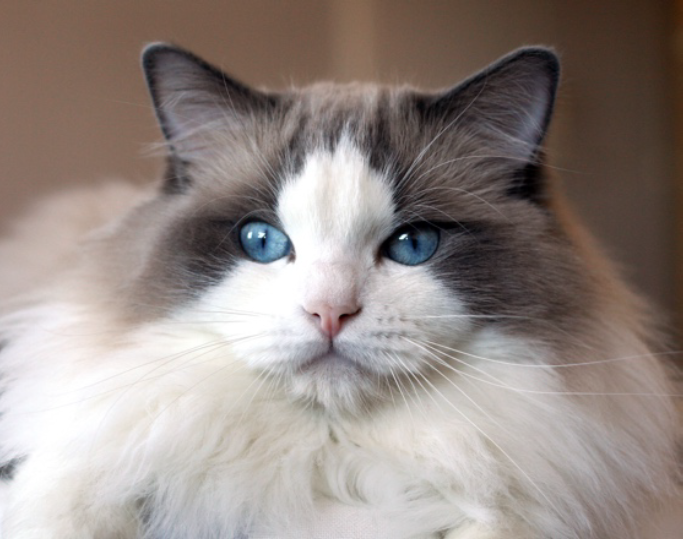 A selection of beautiful ragdoll, in my opinion, with a very nice RAGDOLL LOOK!